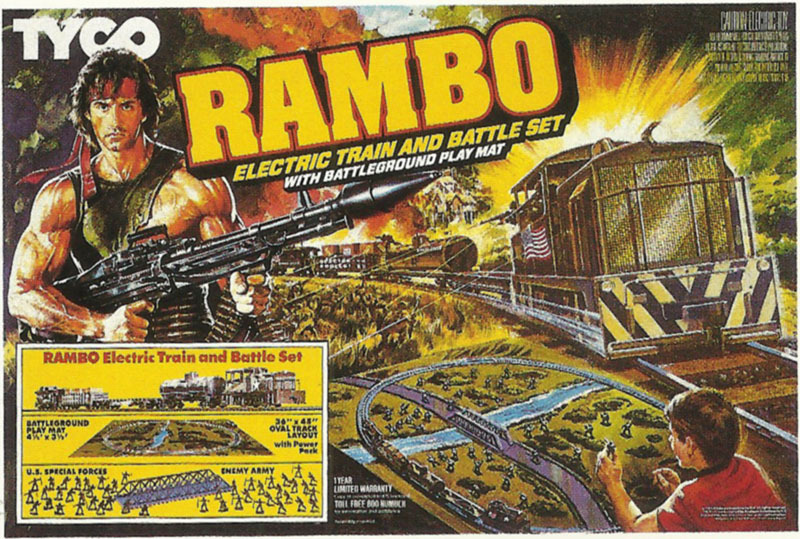 Present only in TYCO’s 1986 catalog, the Rambo Electric Train and Battle Set (No. 7415) was among the 1980s releases featuring movie and TV licensing. The release included a lighted diesel switcher, flatcar, gondola, tank car, and caboose. The set also provided a TYCOSCENE battleground play mat, bridge, 24 U.S. Special Forces soldier figures, 22 enemy army soldier figures, three crates, label sheet, an oval track plan, and power pack.